Ideas are the lifeblood of any organisation or team. Without creative ideas about how to accomplish the set goals, how do you expect to make it there? Even though ideas are so vital to organisational progress, it can be exceedingly difficult to come up with new ideas. Idea generation isn’t a natural process for most people. 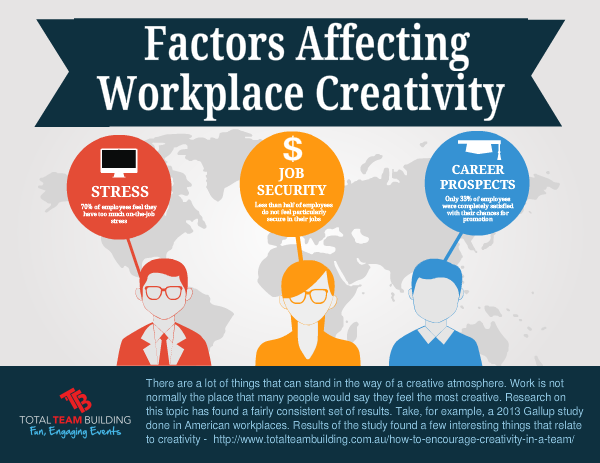 A lot of your employees are probably content doing the work set before them and little else. Most people do not take on extra responsibility without some sort of stimulus. In most cases you can work together to come up with ideas for the team. 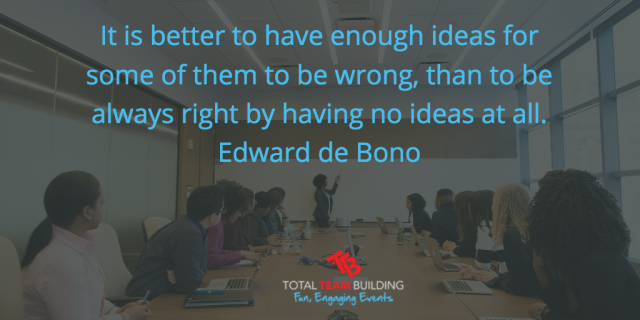 It’s not a good idea to wait for employees and team members to come individually to suggest ideas or to always push your own ideas onto your team. Instead, involve the team in idea generation. This will probably result in better and more creative ideas and will definitely improve employee acceptance of the idea chosen. 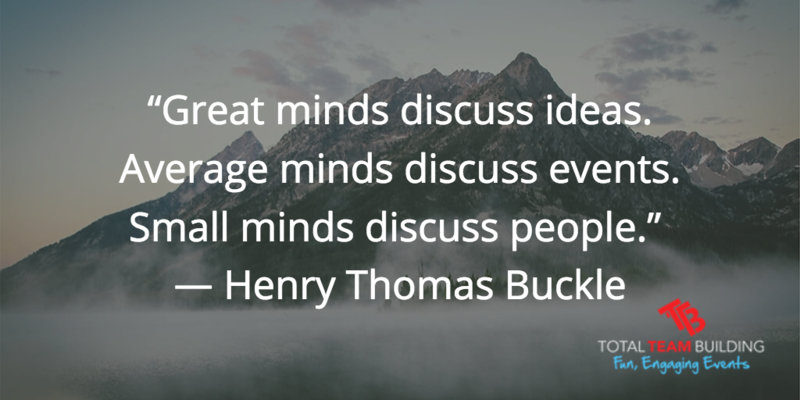 How can you do effective group idea generation? This is a question that’s been asked for decades in the workplace. Hundreds of studies have been done on the subject and many professionals have their own opinions on best practices. Traditional brainstorming involves gathering people into an open space and having people give ideas out loud. One person is responsible for writing down ideas spoken by the group. No one should elaborate on the ideas in the beginning, and everyone should be contributing as much as possible. Once a list of ideas is taken down, you can explore whether they are feasible or not. 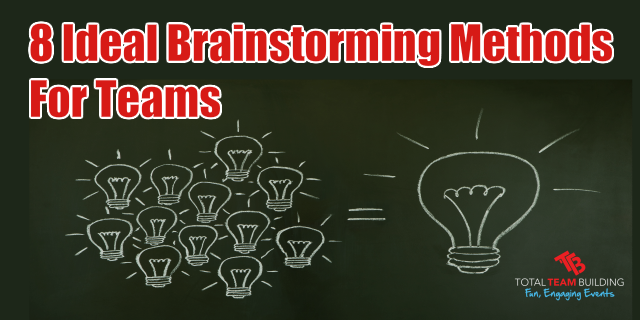 Brainstorming has a lot of mixed opinions on how effective it is. Some say it’s one of the best idea generation methods because you can build on each other’s suggestions while others will say it’s not effective because the earliest ideas given will usually affect the quality of all the later ideas. Some variations to try are brain-writing, mind mapping, or SCAMPER techniques. Brain-writing is exactly the same as brainstorming except employees should be writing their ideas down instead of saying them out loud. This is said to eliminate the influence that the first few ideas have over the rest and to set the pace for more creative and out of the box ideas to come through. Mind mapping goes with brainstorming. Write ideas on a whiteboard in random positions and draw connecting lines between all the ideas in no particular order. See if you can make any of the connecting ideas into something useful and novel or if you can gain inspiration from the map. SCAMPER stands for substitute, combine, adapt, modify, put to another use, eliminate, and reverse. These are all actions that can be done to a product or service offered by your organisation. If you need to change your existing strategy with products and services, try this technique instead. Take a short time to have employees write or say ideas for each action word when associated with your company products and services. A technique like this works best within creative organisations that deal more with visual or artistic offerings. Ask people to put some idea into a short series of words, a picture, or anything else like this. Try to fit pieces together to see how peoples’ ideas can work together to tackle a certain problem. It might seem silly the first time you do it, but role playing can generate a lot of really good ideas. Assign different employees a role to play, such as acting like a customer, an executive, a team leader, a failed sale, or any other role that you can think of which might be present around your organisation. When employees are in these roles, they are told to try to think as that person would think. It can time a little time to adjust to this way of thinking, but once the employees start to get into the activity they will be able to come up with problems and concerns from each side of the scenario. You can then work on how to solve those issues as well as taking ideas from each viewpoint. In an effort to find novel solutions, some teams engage in what’s called forced relationships. This is where you take new or existing ideas and connect them together in no particular pattern. By forcing ideas to come into contact with each other you can evaluate if they would be effective together or not, thereby coming up with a lot of different ways to get something done uniquely. Many teams have found this method particularly effective. One of the truths that’s present in most people is that it’s easier to think negatively than positively. So, instead of having people come up with ideas to solve a problem, have them think up ways on how they could absolutely ruin a project. Examples of this would be someone saying you could ruin customer service by refusing to talk to any customers. Once you have your bad ideas, you can try to understand how to reverse those into a useful idea to take hold of. In other words, if you can ruin customer service by refusing to interact with customers, can you make it better by always interacting with current and potential customers? It may sound a bit like rebellion or anarchy, but by questioning any and all assumptions made by the company in regards to a product or service you may actually find a great way to make something better. Question why different decisions were made about a product. Were decisions made from fact-based research or from assumptions made by leadership or designers? All of these listed idea generation methods have worked for teams in the past, but that doesn’t mean they are all appropriate for your team specifically. You can use trial and error to find out which ones work best with your employees and which to completely avoid. 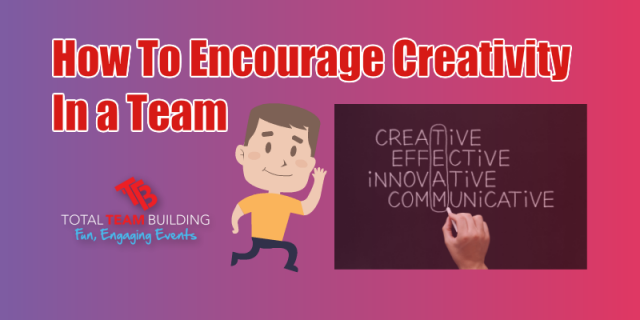 Once you find a great way to generate ideas, you’ll see a lot more creativity coming from employees all around as well as an increase in team involvement in a project, as all the members were part of creating the idea.